Mafia's notorious first family finally receives the Pop! 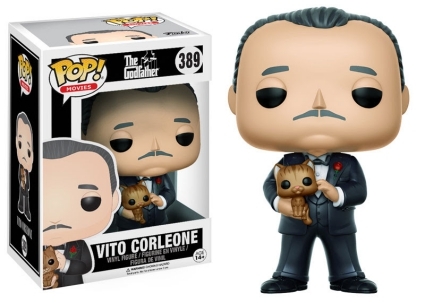 treatment with the Funko Pop The Godfather debut. The set includes main figures as well as retail-specific variants. Heralded as one of the greatest films of all-time, Francis Ford Coppola's The Godfather gives moviegoers a peek inside the lives of the Corleone family. The film franchise, including its two sequels, boasts a large cast, many of whom gained instant recognition. 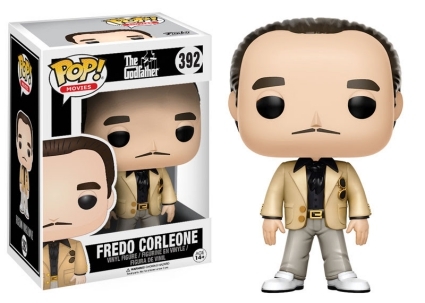 Each member of the Corleone clan has distinct features and/or characteristics skillfully depicted in their Funko Pop The Godfather vinyl figures. Leading off the set is the Don himself, Vito Corleone, famously portrayed by Marlon Brando. Vito's standout feature is his unique jawline, and Funko makes this quite apparent on his figure, too. Posed wearing his wedding day suit, Don Vito has a silverish mustache, slicked-back hair and is holding his cat. 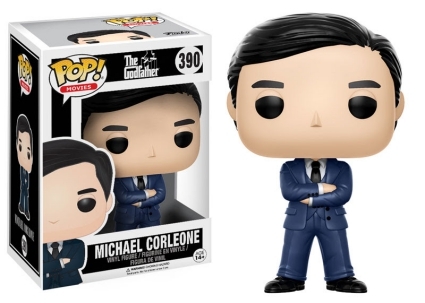 Well represented with three figures, Michael Corleone is the most heavily covered subject in the line. 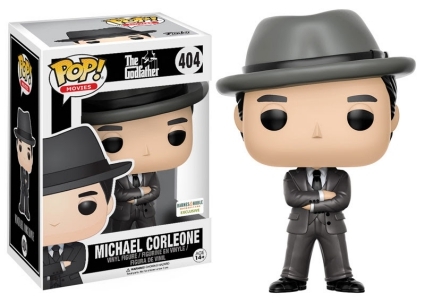 Apart from the main figure in a blue suit, collectors can find Michael wearing a gray suit at FYE outlets, while the figure of Michael Corleone sporting a matching gray hat is issued exclusively through Barnes & Noble. 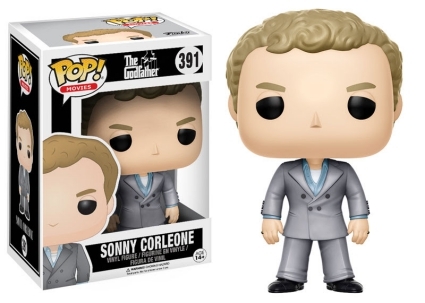 With each option standing approximately 3 3/4" tall, other members in Funko Pop The Godfather include the curly-haired Sonny Corleone in a silver suit and Fredo, who has a darker mustache yet still mirrors his father's look. Part of the Pop! Movies line, collectors may notice that there is a large gap in the checklist numbering. 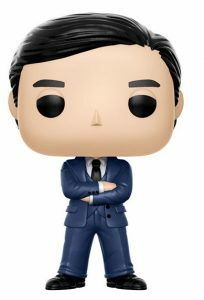 Given the huge cast, this could indicate more exclusive Funko Pop The Godfather vinyl figures in the future, but that has not been confirmed. FUNKO POP! 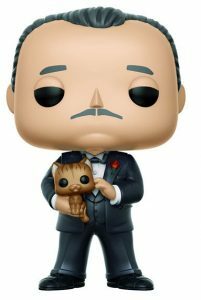 GODFATHER 2PC EXCLUSIVE SET.